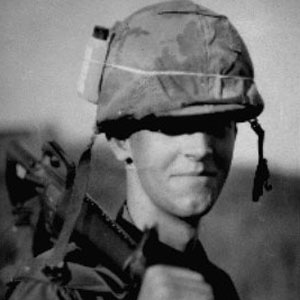 A journalist, author, and one-time Marine Corps officer, he slightly fictionalized his Vietnam War experiences in The Short-Timers, a 1979 novel that inspired the famous film, Full Metal Jacket. His other literary works include The Phantom Blooper (1990) and a Gypsy Good Time (1992). He was a combat correspondent with the Marines in Vietnam, and he wrote for several armed forces publications. His screenplay for Full Metal Jacket earned an Academy Award nomination in 1988. His wife, Charlene, lent her name to the rifle owned by Private Pyle, a character in The Short-Timers. Stanley Kubrick turned Hasford's novel into a movie classic.